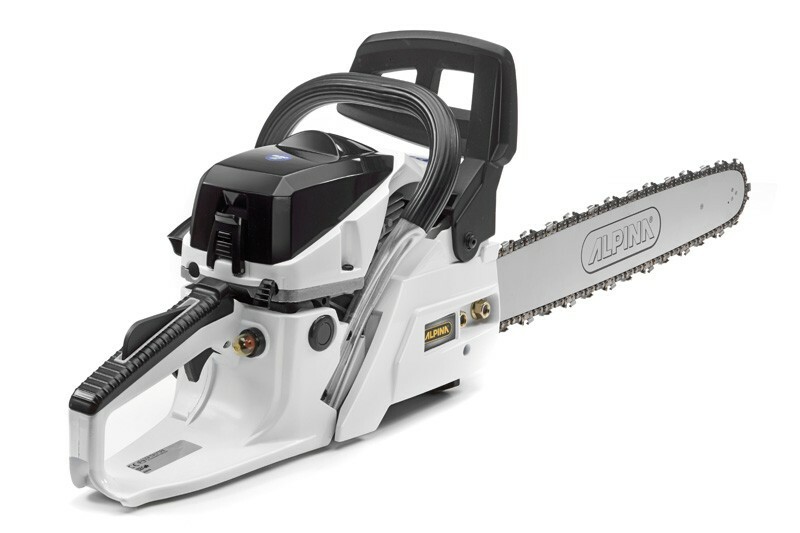 ALPINA PETROL CHAINSAW 45 cc 18'' C 46: This mid-high petrol chainsaw, powered by a 45.2cc engine, is the perfect choice to combine advanced performances with comfort of use and reliability. A large variety of activities is ensured by a great global balance and an efficient cutting bar of 18". Chain tensioning is ensured by the tool kit included with the product. Softgrip handle: Softgrip is a special rubber which protect the handle where it get holded while the machine is in use. Absorbing part of the vibrations while augmenting the grip it makes more comfortable the use of your machine.